NanoPV Voltech Solar Pvt Ltd, a joint venture between US-based NanoPV Solar Inc and the Voltech group of Chennai, expects to open a solar module manufacturing plant near here in December. The facility, with a capacity to make 75 MW worth of modules a year, is being set up at an investment of Rs 100 crore. The solar module can be used as a component of a larger photovoltaic system to generate and supply electricity. The Voltech group has nothing to do with Voltec Solar, the Alsace, France-based producer of high quality photovoltaic solar panels. NanoPV was founded in New Jersey, US, in 2005 by Anna Selvan John, who hails from Chennai. John is also the President and CEO of the Indian joint venture. The 75MW plant will produce crystalline silicon modules. 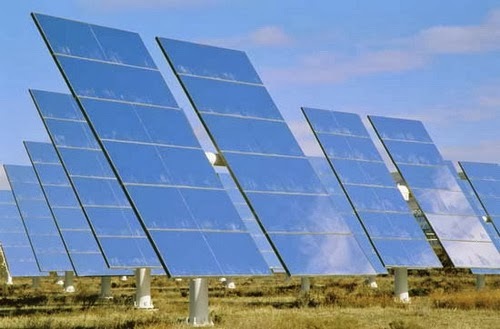 The company has plans to make solar cells also, John told Business Line on Friday. Modules are made up with cells. He added NanoPV has developed a hybrid cell technology which can convert 21 per cent of sun’s energy falling on the cells into electricity. At a later stage, these hybrid cells will be manufactured at the Indian plant. NanoPV Voltech’s subsidiarieshave won rights to set up two solar power projects—of 10 MW and 14 MW—in Tamil Nadu, through a bidding process of the state utility, Tamil Nadu Generation and Distribution Corp Ltd (Tangedco). The 24-MW solar projects will be captive customers for the manufacturing plant. Apart from this, NanoPV Voltech has also won contracts for setting up a a6 MW solar plant from other winners of the Tangedco bid.